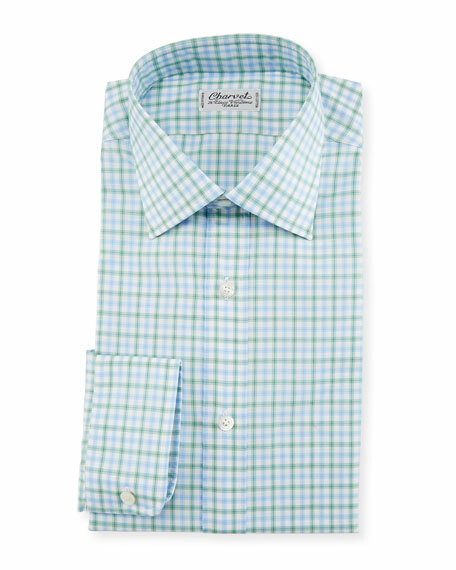 Charvet tattersall woven dress shirt. 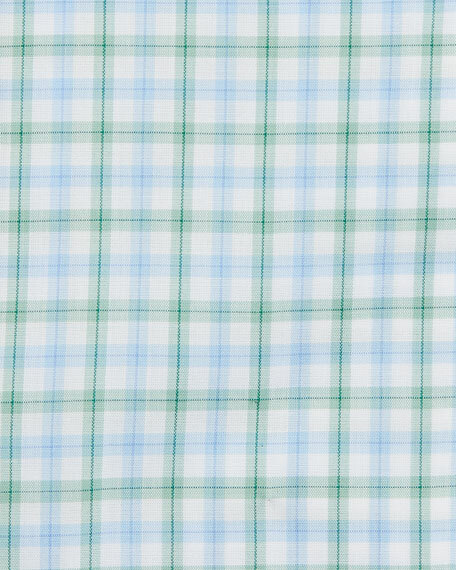 Eton dress shirt in micro checks. High spread collar; button front. Mitered barrel cuffs. Yoked back shoulders. Contemporary fit. Shirttail hem. Cotton. Made in Italy. Eton dress shirt in crease-resistant poplin fabric. Moderate spread collar with permanent collar stays. Convertible button cuff to French cuff. Eton dress shirt in crease-resistant poplin fabric. Moderate spread collar with permanent collar stays. Convertible button cuff to French cuff. Slim fit. Darts at the back to adjust the width. Cotton. Machine wash, line dry. Made in Romania.